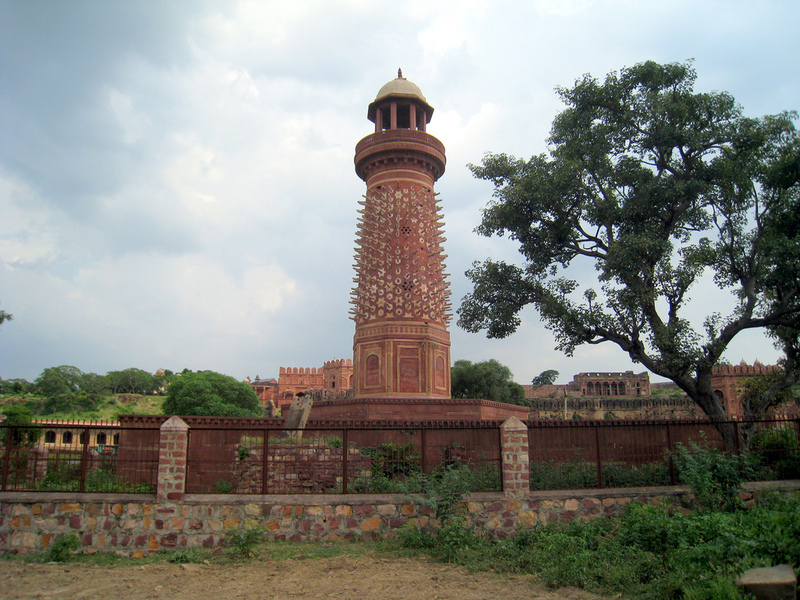 Fatehpur Sikri is one of those historical places that was built by the Mughal emperor Akbar. Located at the distance of 37 kilometres from Agra and perched on the hilltop and red stone is being used in order to build it. Starting from the year 1571 to 1585 this place continued to be the political capital along with the city Agra, and is the extremely intricate example of the Mughal architecture. At Fatehpur Sikri you will be amazed to see the best example of fusion of both the Hindu and Muslim architecture, not just this you will also get to see huge country yards, open pavilions, glorified palaces, ponds, fountains etc. 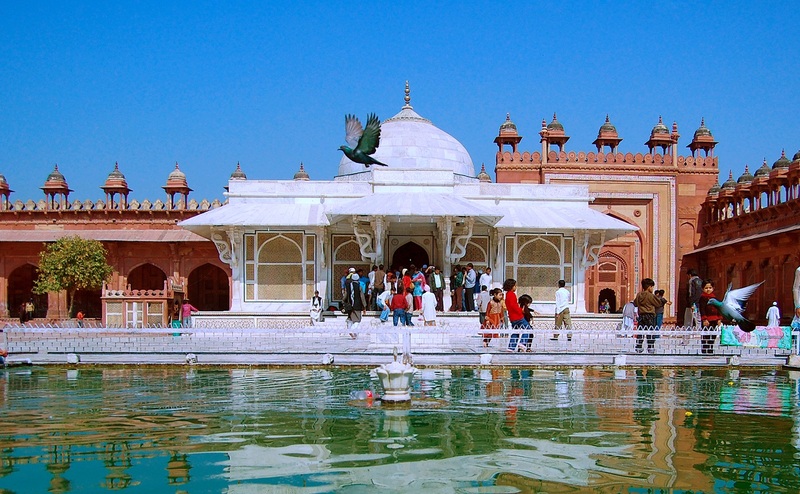 Below given are some of the best things that you can do in Fatehpur Sikri. 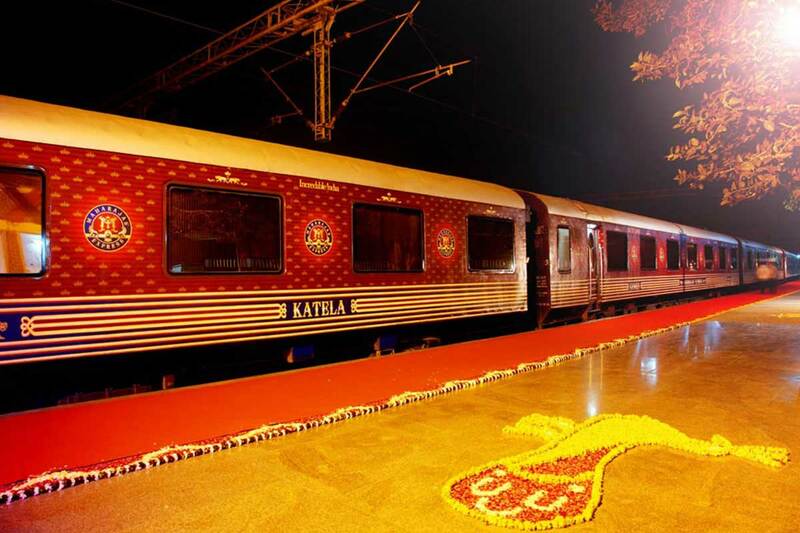 Crowned to be the world largest luxury train for a period of six conservative years, this train Maharaja Express has continued to be choice when it comes to the luxury tours and travels. 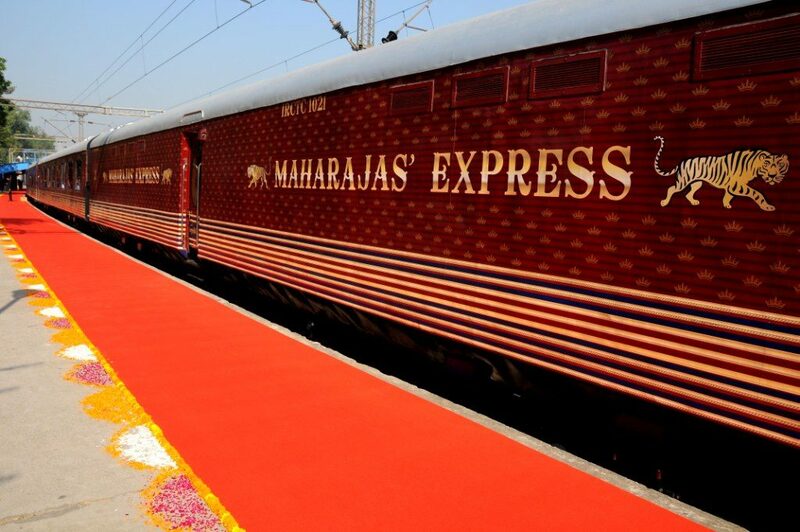 The train embraces you with a princely life style of the Ernst while maharajas, especially Rajasthan. 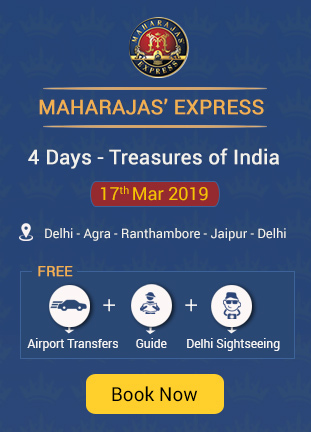 The train helps you in covering the destinations like Delhi – Jaipur – Ranthambore – Fatehpur Sikri – Agra – Gwalior – Khajuraho – Varanasi – Lucknow – Delhi. The train arrives at Sawai Madhopur where the guest will then proceed towards an exciting game drive at Ranthambore National Park. After the board breakfast the Maharaja Express departs for the ancient Mughal capital Fatehpur Sikri, where they could closely explore the deserted city where once the Mughal emperor Akbar had ruled. One of the best examples of the Mughal architecture and the noted religious center for the Muslims is the tomb of Sheikh Salim Chishti. This tomb was built by the Mughal emperor Akbar in the honour of Sheikh Salim Chisti between 1571 and 1580. The saint was generally believed to be the successor of Khwaja Moinuddin Chisti, whose mausoleum is also located in a place, called Ajmer, and is popularly known as Ajmer Sharif. 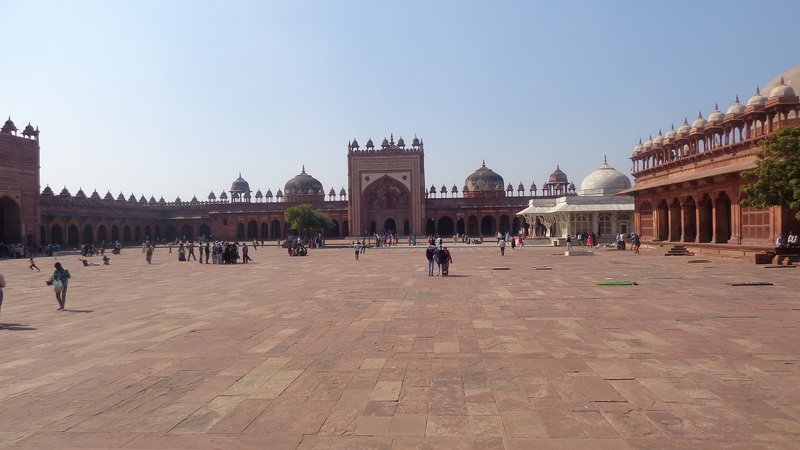 Jama Masjid in Fatehpur Sikri is generally believed to be one of the most notable tourist destinations for the ones visiting there. It is an awe inspiring infrastructure that was built in the year 1571 under the patronage of the Mughal emperor Akbar the great. The mosque is believed to be the largest one in the world, and like the other Mughal architectures it has been built on a raised platform followed by a large central doom that is surrounding the minarets and the other small domes. Also called as the Tower of Antelope, this is a place that is 21.34 meters tall, and is named after the Mughal emperor Jahangir who then converted the religion surrounding the tower into deer sanctuary. One of the interesting things about this sanctuary is that it up to the height of 3.91 meters and is octagonal and the rest of the place is circular. You can get into this tower through a flat door that takes you to the staircase. And once you climb up the 53 stairs you reach the top and get to enjoy the view of the bird’s eye view of the entire city Fatehpur Sikri. Inaugurated in the year 2014 inside the Akbar Former Treasury house, this is a museum say about 100m from the Diwani – Am – showcasing the pre Mughal artefacts that are being excavated all these years. And though this is a very small place let me tell you that it is really very well represented. The highlights of this place are the sandstone Jain Tirthankaras dating from the period of 982 AD and 1034 AD. It is the right time to visit the place as Ramzan is on. The Dargah of Sheikh Salim Chishti generally organizes this fair where traditional handicrafts and the other items are displayed during this season. You can in fact enjoy the camel and the elephant with your kids if you are actually visiting the place this time. And when it comes to the entertainment you have the folk or say the mushaira being played on regular basis. You will also get to see some folk dance too. 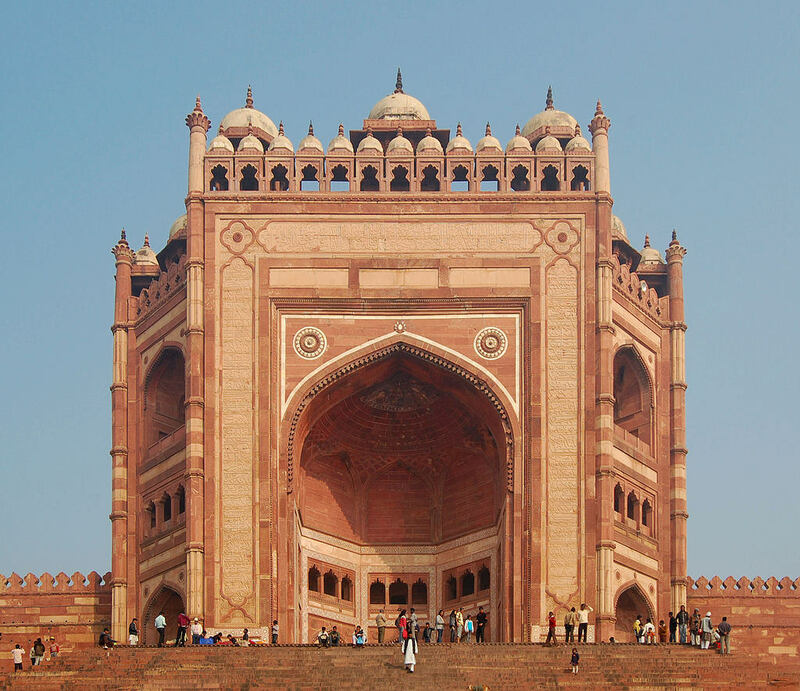 This is generally considered to be the most beautiful structure when it comes to Fatehpur Sikri. 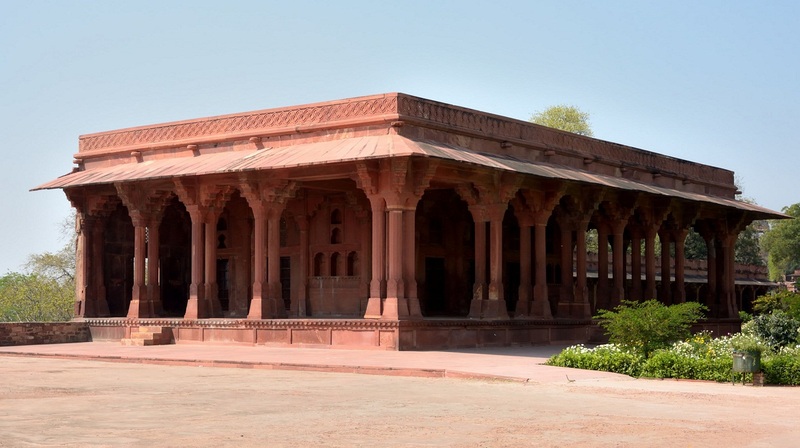 This is a place that is built using the red sand stones and the impressive edifice that had been constructed by the Mughal King Akbar and is attached to the Daftar Khana of the royal complex. In fact there are several rooms in these buildings where the Mughal emperor Akbar use to have his meetings. You will also get to see a bedroom, a personal library and the last but not the least a small bathroom. This is a place that is also called as the gate of magnificence, and is one of the largest gateways of the world with a height of 54 meters. This 15 storey building has a grand entrance that narrates the success of the Mughal emperor Akbar, and was built for the victory that he gained in Gujarat. Showcasing the perfect Mughal and the Persian architecture followed by a doorway that serves the visitors as the main entry into this imperial complex of Fatehpur Sikri.